Only a week till the Spooky city parade in Norwich and ERMCIC have been working with lots of different people. 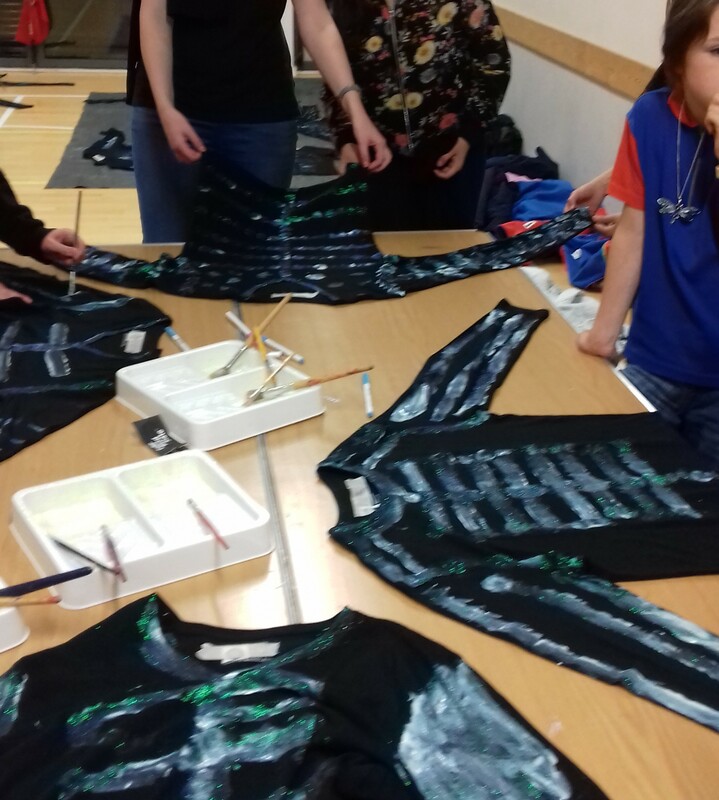 Here are some of the skeleton pirate T Shirts being made by Guides. Great time had by all! Now the only thing to worry about is – what am I going to wear!